Here is my son installing the aerial on the tower at the airfield. 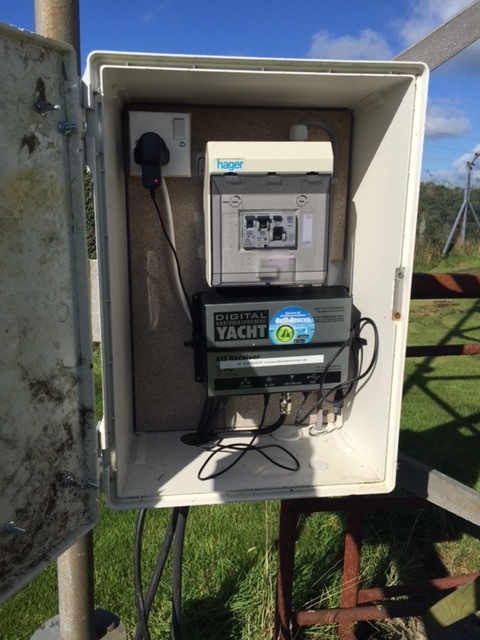 The DY AIS receiver hooked up at the base of the aerial. 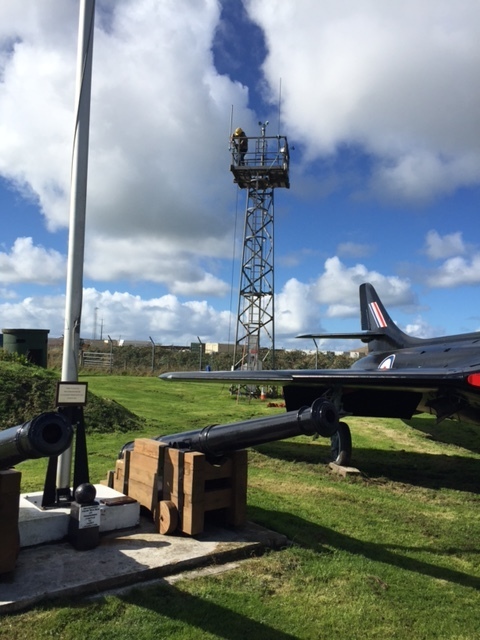 Many thanks to Steve at Davidstow Airfield and Cornwall at War Museum who is kindly letting us use his tower to mount the aerial on (giving us another 12m (40′) of elevation 🙂 . The museum is very well worth visiting if you are in the area and even if you are not.